Osama Bin Laden is Dead! Osama Bin Laden is dead. President Obama made the dramatic announcement on television at 11:35pm US time, according to Time magazine. A world’s credit to a small team of US forces, in alliance with Pakistani intelligence, who reportedly launched a covert operation that finally sealed the deal. Bin Laden was killed during a 40-minute firefight in Abbottabad, Pakistan last Sunday, May 1. No other casualties were filed. His body is currently under US custody. There is no proof of his death, other than a nationally televised emotional public address from the US president. "Justice has been done,” Obama concluded before handing out the details. Though the war on terror – Obama prefers to call it an overseas contingency operation – is still on-going, news of Osama’s death poses as a big threat for large-scale terrorist groups such as Al Qaeda and an immense victory for Americans, who chanted “USA” on the outskirts of the White House and New York. It was in March 1998 when Osama first received an official Interpol arrest warrant for killing two German citizens four years earlier in Libya, one of whom has been thought to have been a German counter-intelligence officer. 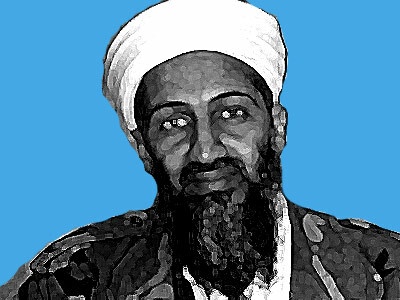 To this day, Osama is still wanted by the Libyan government. Osama’s first brush with the US took place in June 1998, when they indicted him for killing five Americans and two Indians during a truck bombing of the Saudi National Guard training center in November 1995. He was then concluded to be involved with Al Qaeda, but Osama denied his involvement in the attacks. Bin Laden however, praised the terrorist group for their efforts. Hundreds were killed in simultaneous bomb truck explosions that occurred in US embassies in Tanzania and Kenya on August 1998, caused by the Al-Jihad, a group affiliated with Al Qaeda. Many US nationals were included in the casualties, bringing Osama in the FBI’s 10 Most Wanted Fugitives list. Ayman al-Zawahiri, current Al Qaeda leader, was also involved in the attack. A series of suicide attacks were made by Al-Qaeda on September 2001, crashing two airliners into the Twin Towers of the World Trade Center in New York City and crashing two more into the Pentagon and in Pennsylvania. Nearly 3,000 victims died in this event – civilians, firefighters, and police officers – igniting the war in Afghanistan and a global man-hunt for its mastermind.